Sam Adams was involved with the Boston Committee of Correspondence. In an era before modern communications, news was generally disseminated in hand-written letters that were carried aboard ships or by couriers on horseback. Those means were employed by the critics of British imperial policy in America to spread their interpretations of current events. In the fall of 1772, Bostonians address the latest rumors from Parliament: judges of the Superior Court of Judicature will no longer be paid by the colony&apos;s General Court. Instead, judges will be paid directly from the royal treasury, using money collected by the American Board of Customs Commissioners. Fearing this new process will "pervert the judgment of men," Bostonians petition their selectmen to act. 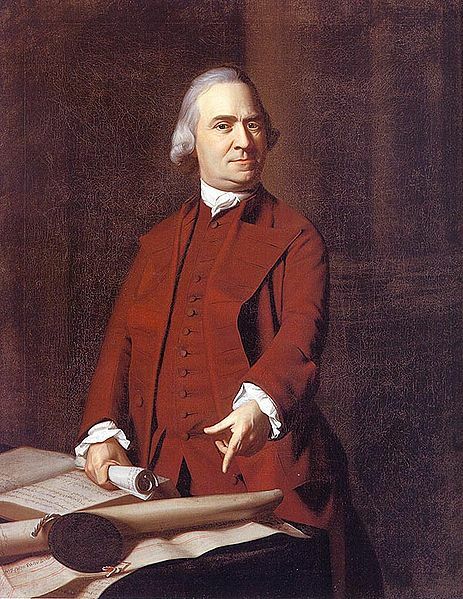 In the process of debating the matter, Samuel Adams proposes the creation of a corresponding society to gauge the sentiments of other Massachusetts towns. On 2 November 1772, a committee is born when the Boston selectmen vote to establish a twenty-one-member Committee of Correspondence. Committees of Correspondence were used in eighteenth-century America to maintain contact among institutions and communities. The Massachusetts Assembly established such a committee to deal specifically with the problem of British policy as early as 1764. In 1771 the Boston Town Meeting appointed a committee to rouse fervor elsewhere in Massachusetts. The committee was the idea of Samuel Adams. Relations with Britain were quiescent at the time, but Adams believed Britain&apos;s seeming retreat in 1770 by its repeal of four of the five Townshend taxes had only been tactical and that colonials needed to be prepared for another crisis. Throughout the eighteenth century, colonial assemblies designated some of their members as committees of correspondence to communicate with their agents in Britain and with other assemblies. Merchants used similar bodies to keep in touch and to lobby politicians. The most significant committee of correspondence, however, had different purposes and a more crucial impact. A committee of correspondence was a body organized by the local governments of the American colonies for the purposes of coordinating written communication outside of the colony. These served an important role in the American Revolution and the years leading up to it, disseminating the colonialinterpretation of British actions between the colonies and to foreign governments. The committees of correspondence rallied opposition on common causes and established plans for collective action, and so the network of committees were the beginning of what later became a formal political union among the colonies. colonial groups organized prior to the American Revolution to mobilize public opinion and coordinate patriotic actions against Great Britain. They were established by private citizens, town councils, and legislatures in the American colonies. Although colonial legislatures had appointed committees and charged them with communicating with their counterparts in other provinces during the 1760s, the first revolutionary use of Committees of Correspondence occurred in Massachusetts in 1772.